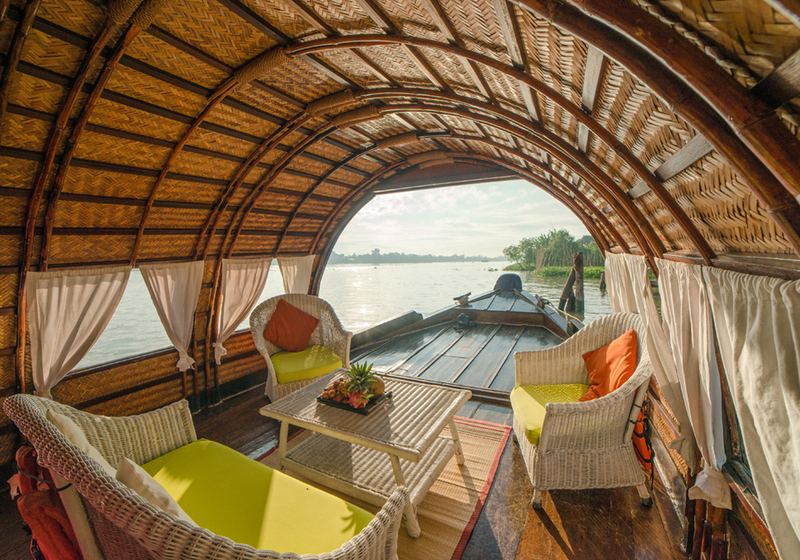 The original Bassac, built in the hull of a rice transporting barge, is a snug ship sized right for a family excursion or a group of friends, who will love to appropriate it for the duration of their journey. Bassac I is a green ship. It treats its waste water and recycles the waste heat from the engine. It is qualified as a first-class river vessel VR-SI. 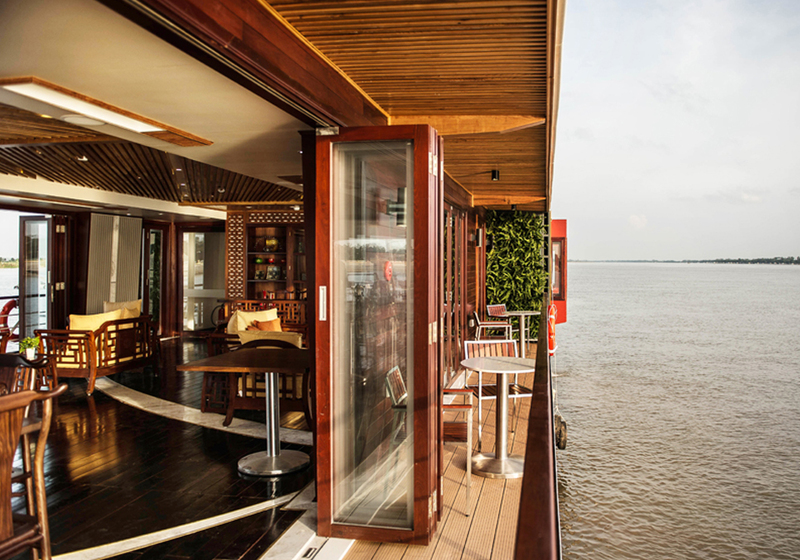 The Bassac II was designed in-house by TransMékong to meet the demands of river discovery cruises. It harbors redundant propulsion and power generator; river water and waste water treatment, and a professional galley. The Bassac II is registered to navigate into Cambodia. With a large covered upper deck, a lounge and wide gangways, it is comfortable and can host a meal for the passengers of two ships. Access on board is broad and steady, and elderly or partly disabled passengers are safe. Boarding at Can Tho at Ninh Kieu pier at noon. Welcome drink, introduction to the ship and crew, check into the cabins. Departure downstream of the Hau river. Lunch on board while en route. 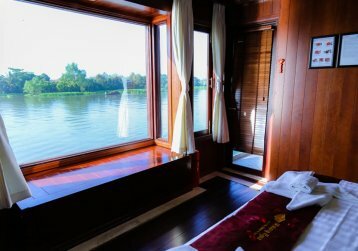 By mid-afternoon, the Bassac casts anchor for a visit on shore: past the first tree line, quiet discovery of the peaceful life in the delta’s countryside, of rice fields, fruit trees and the welcoming inhabitants. 06:00: Departure towards Cai Be. The passengers take their breakfast at 07:00 while enjoying the scenery on the banks. Rendez-vous with a local boat, which will take you to shore for a visit of Cai Be’s handicraft. Please note you will leave the Bassac for good upon boarding the small boat for the last visit, typically about 08:30. Eating well is mission-critical on a cruise, and on every trip we offer our passengers to discover classic Vietnamese cuisine at noon, delta specialties in the evening and a well-appointed western meal for breakfast. We offer meals cooked and baked afresh including breakfast’s bread and pastry. As the Bassac have their own galley, they are very reactive to meet the needs and tastes of your passengers, even in case a surprise cake is de rigueur. Only $180/person for 2 days 1 night cruise package.